High purity (99.999%) Silver metal wire. 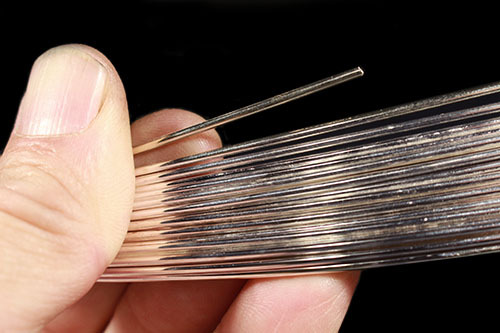 The wire measures 1/16" diameter (0.0625") also known as 14 gauge wire. This is pure, solid Silver wire - it is not plated. It is sold by the foot, so if you want 5 feet, enter a quantity of '5'. If you want 10 feet, enter a quantity of '10', etc. Supplied on a small plastic spool.